Here's a furry friend we haven't seen for a while. Obviously happy to be back on BBC Two! Aerial shown on NI, before Those Were The Days North West. Wave Day shown on NI, before Operation Cloud Lab. Was just about to edit my post to mention this, Paul. What a tremendous effort BBC2 are making. If they are to stay for the rest of the year, I certainly won't be complaining! And they even reduced the size of the subtitles tag. The last 5 years, they didn't happen. PS that's not a new HD transfer is it? It looks bloody good on HD anyway if not. Was just about to say myself, fluffy dog looks far to HD-like to be upscaled SD. 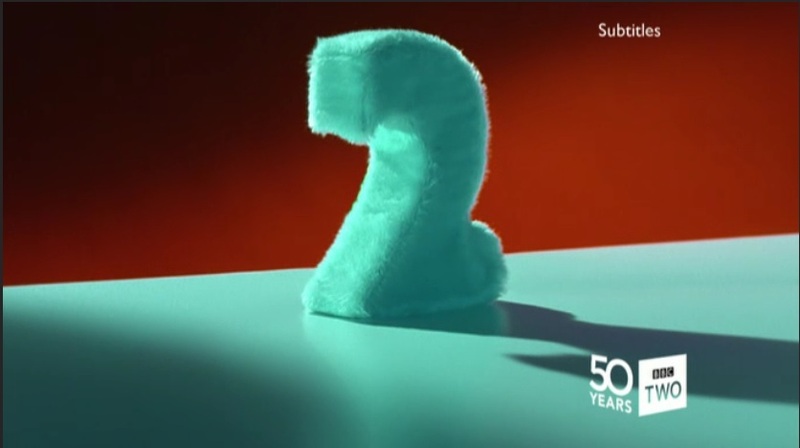 How fantastic to see these idents return and in such stunning quality for the first time ever! Please bring back more BBC 2, and for good! The 50th Anniversary logo, at bottom-right. The box logo on Aerial appears after the opening shots; a 1997-style fade in. Car introduced on both Network and Wales, before The Fifteen Billion Pound Railway.